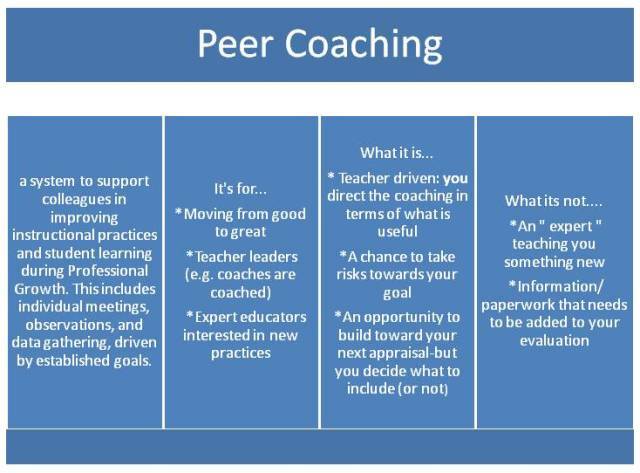 Coaches modelling their beliefs about coaching provides a powerful condition to encourage teachers to take an initial risk to work with the coach. Thus my statement that coaches should be the “most coached” people in the building. 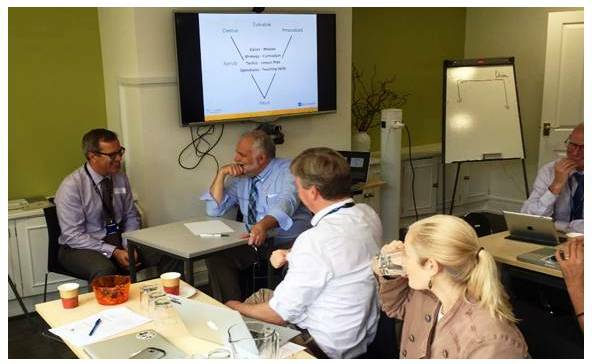 At ACS, the new peer coaches were asked to be coached twice in the next three weeks by other peer coaches. This provides a “safe practice environment” for coaches practicing coaching. It also provides coaches with personal examples to share in conversations with teachers: “Last week, my coach noticed……….and I can’t believe the quick impact that had on students’ focused attention.” When my coach asked ………. I realized that ……..”. Coaches asking staff member to coach them is a great introduction to coaching for teachers. Someone just listened to me for seven minutes– again usually followed by laughter. Most teachers share that the opportunity to talk about their teaching whether at school or at home seldom receives the respectful “just listening” response that they receive in a coaching pre-conference. I think I just improved my upcoming lesson– Teachers often find that the reflection that occurs while explaining their instructional design to a colleague sheds new insights…. perhaps uncovering an overlooked opportunity for advanced learning. Sometimes the conversation provides a possible solution to a predicted problem. I’m just not sure about this coaching thing. You’ve never taught what I’m teaching. Why are you coaching me? What experiences have you had receiving feedback from evaluators, supervisors, mentors, coaches and others? You want to know that this is a non-evaluative process. It’s important to you that any time you invest in coaching has payoffs you value. …. (extend pause for a yes or a nod) What would be an outcome that would be valuable to you? The design of our coaching program is around deserve a coach vs need a coach. Like athletes and performing artist the top members work at the most complex level and can gain the most from observation and feedback. What do look to achieve with your learners that is beyond your past attainments? Can you describe a student for whom you are working too hard? You’ve invested a lot and not seen the learning growth you desire? Many coaching pairs find it easiest to start coaching outside departments. It helps the coach avoid the thinking, “How I would teach this?” and instead listen and support the teacher’s reflection and decision-making. You may seek an expert coach when you know there is a specific skill set you want to master and they have already mastered it. Part of my role can be to help find the right coach when needed. The critical element in these settings is for the coach not to personalize the teacher’s question or statement. See it as a time to define the coaching program and goals. Avoid defending your role or position.